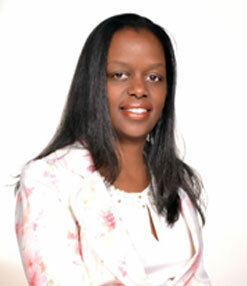 Dolly Sagwe-Onyoni is currently Director, Business Finance at Oracle (EA). Dolly graduated from USIU in 1998 and has had a successful finance career spanning over 17 years while working for P&G, HP and GE covering East Africa, Sub Sahara Africa and the Middle East. Dolly is also a personal financial advisor and career mentor to many and passionate about raising financial awareness through her program "Let's Talk Money". Dolly is a member of the exclusive African Leadership Network (ALN), has served on the YWCA Finance Board, Board member of the KEPSA Public Finance Committee among other leadership engagements. "I look forward to building value to both the members and stakeholders of the association".